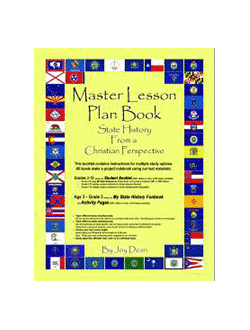 Satisfy your state history requirements with Georgia State History From a Christian Perspective. 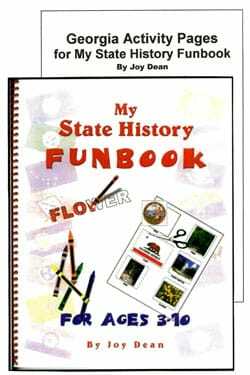 My Georgia State History Funbook adds activities for younger children. 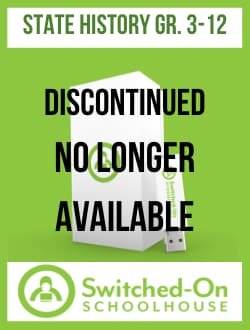 Switched-On Schoolhouse State History is also available if you want to study more than one state. Georgia Student Booklet You will need one consumable student booklet for each student in grades 3-12. 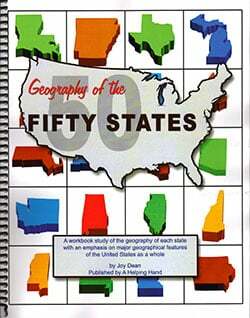 If you want to include a younger student in this study, Georgia: My State History Funbook is available for separate purchase below. It is consumable and you will need one per younger student. 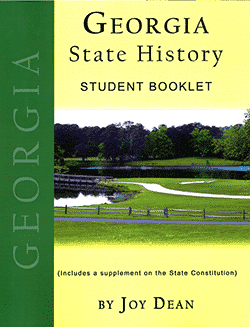 Extra copies of the Georgia State History Student Booklet are available separately for additional students. 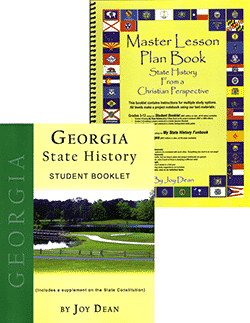 Designed to be used with the Master Lesson Plan Book, each student needs a copy of the Georgia History Student Booklet. Georgia: My State History Funbook is a color-cut-and-paste activity book which provides an introduction to Georgia through fun activities on a pre-school or early elementary grade level. Georgia: My State History Funbook Packet consists of a spiral-bound, pre-formatted activity book with a set of Activity Pages for Georgia. 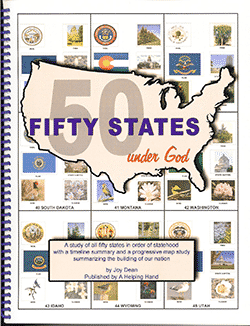 The activity pages include color state symbol pictures, colored sheets with informational cutouts about your state, a simple lesson schedule and instructions for the teacher, and a list of sources for free tourist literature).